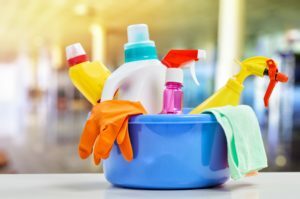 Home|Home Featured, Las Vegas Apartments, Northern California Apartments, Reno Nevada Apartments, Southern California Apartments|What Is Spring Cleaning and Why It Is Important For You? 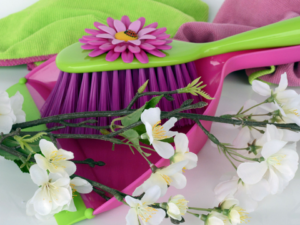 Spring cleaning is a practice of thoroughly cleaning a house in the springtime. In many cultures, annual spring cleaning occurs at the beginning of the new year. Researchers have traced its origins back to 2 cultures. One culture it originates from is the Iranian culture. During Nowruz, the Iranian new year, which falls on the first day of spring, Iranians practice “khoone tekooni” – literally translated to “shaking the house”. Before the new year, everything in the house is thoroughly cleaned, from curtains to the furniture. Another culture spring cleaning originates from is the Chinese culture during Chinese New Year. Like the Iranian culture, the Chinese clean their homes in the anticipation of the new year. The Chinese sweep the floors and clean their homes to get rid of bad luck and misfortune accumulated during the previous year. Once the house is clean, the Chinese welcome good fortune in prohibiting sweeping for a few days following the new year to prevent sweeping away any good fortune that came with them during the new year. Spring cleaning can turn into a treasure hunt to find items that’ve been misplaced, items you haven’t seen in awhile or forgot you had. Decluttering and organizing your home will save time in your day and clear out space. Studies have shown that a clean home increases people’s happiness. Spring removes allergens or anything else you might not get in your regular cleaning routine. This is the perfect time to get rid of unwanted items! Start by cleaning the room that will take the longest to clean and move on from there. Make a few separate boxes: one for storage, one for recycling, and one for donating. Clean out every room thoroughly! Use cleaning products, and make sure to vacuum areas that have gathered dust. Recycle your items at your nearest recycle centers (if you are throwing out items like electronics), donate to local charities or churches, or have a garage sale and make a little money off your items! Lewis Apartment Communities offers apartments with ample storage spaces to keep you organized and clean daily. That is just one of the reasons why residents love our apartments! 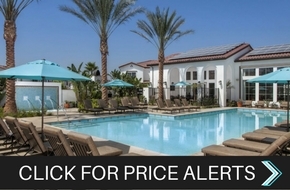 Lewis Apartment Communities recently opened the doors to its newest apartment community- Santa Barbara in Chino Hills, which offers a one-of-a-kind luxury living experience. Our 1-4 bedroom Spanish-style apartment homes are jam-packed with amenities to enhance your living experience. Read more about our newest community here.